Tomorrow is Valentine’s Day – an especially fun and goodie-filled holiday for kids, as well as for women with creative, generous, romantic spouses . . . 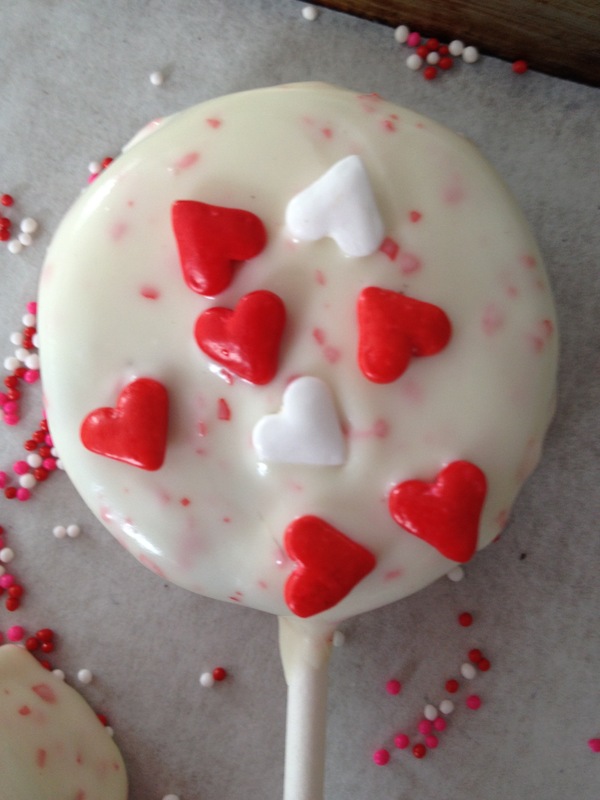 While expressing love with a Valentine’s card is always appropriate, a little homemade treat can make the sentiment even sweeter. 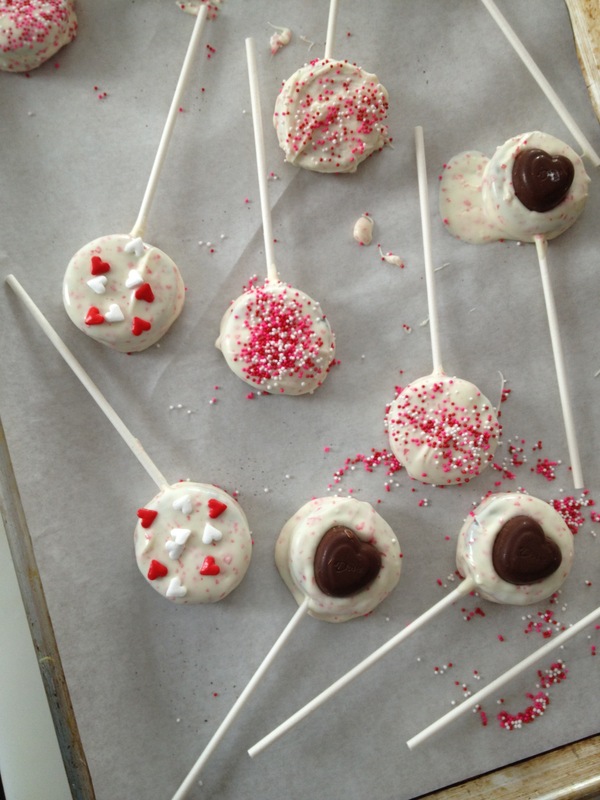 These Oreo cookie pops look fancy and festive, but can be assembled and decorated in less than half an hour. Sweet mother of shortcuts! 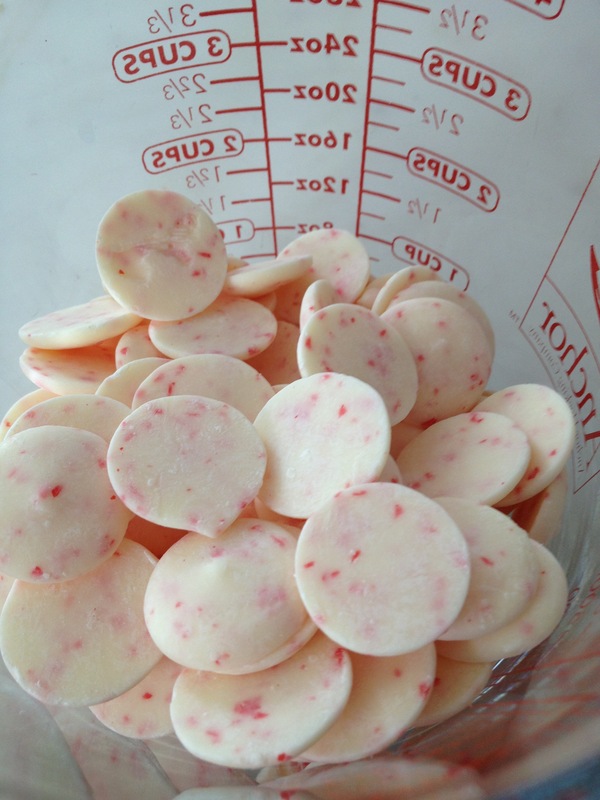 If you can’t find candy melts, you can use white chocolate chips mixed with some vegetable oil instead. Line a baking sheet with parchment or wax paper. 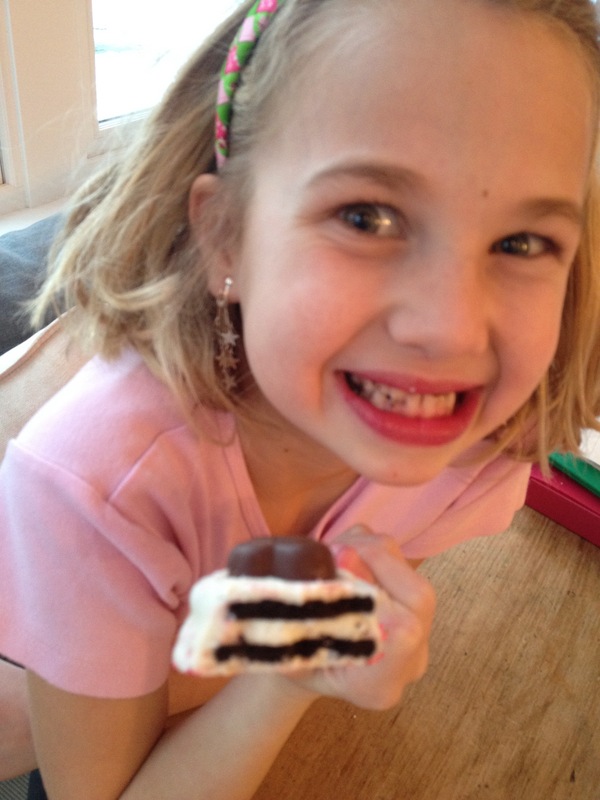 Arrange Oreos on a paper towel-lined plate and microwave for 15 seconds. 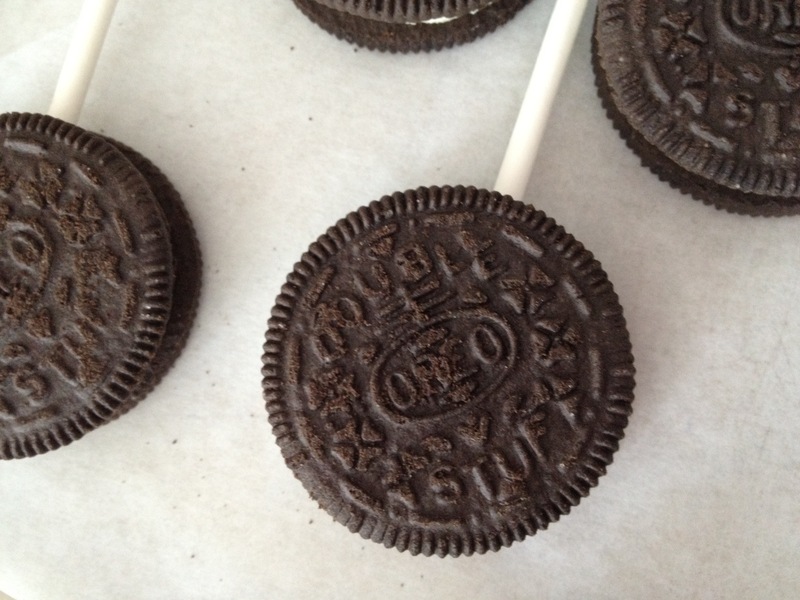 Carefully insert lollipop sticks into softened Oreo centers and arrange on lined baking sheet. Refrigerate or freeze for a few minutes to re-solidify centers. A quick zap in the microwave helps the sticks slide in easily. Add candy melts (or chips plus vegetable oil) to a medium microwaveable bowl or Pyrex measuring cup and microwave for 45 seconds. 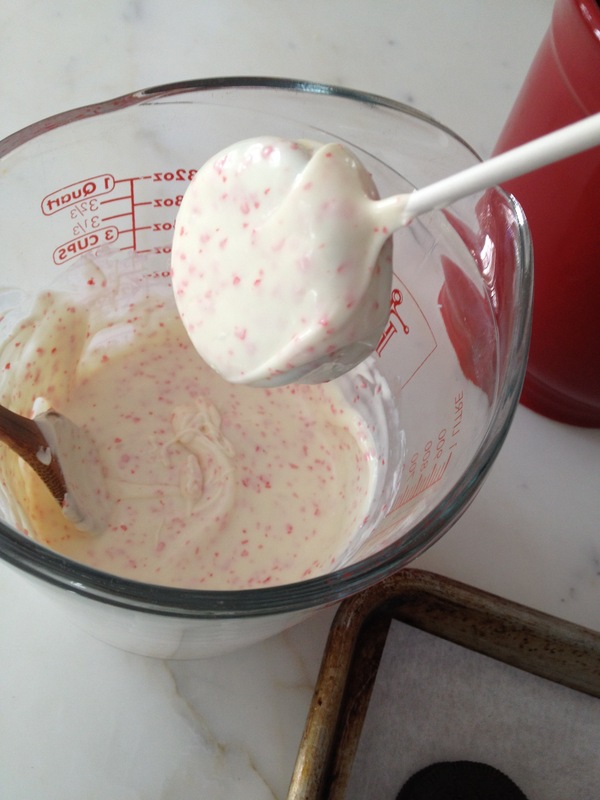 Stir and then continue to microwave in 30-second increments until candy melts are smooth. A small but deep vessel like this large Pyrex cup is ideal for melting small amounts of candy melts; it makes dipping easier. 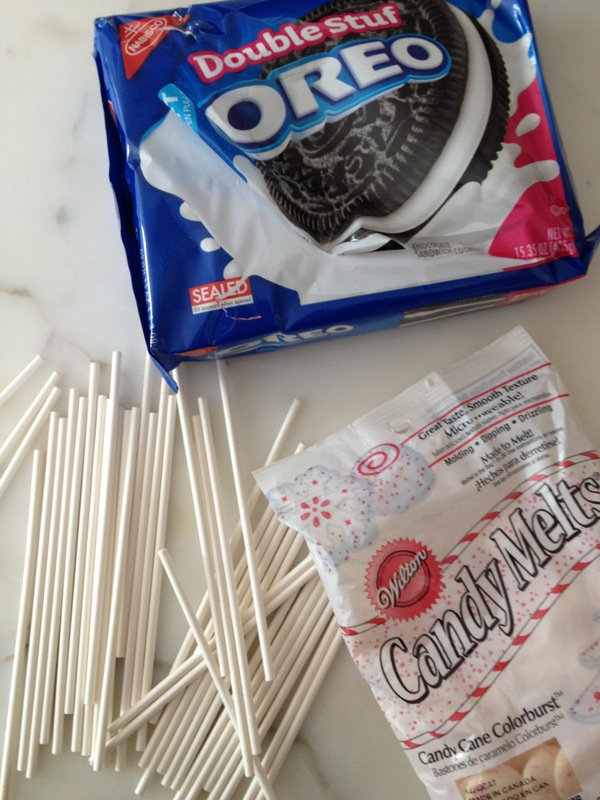 One at a time, dip the chilled Oreo sticks into the melted coating, using a spoon to help obtain even coverage. Return completed cookie pops to the refrigerator to harden. 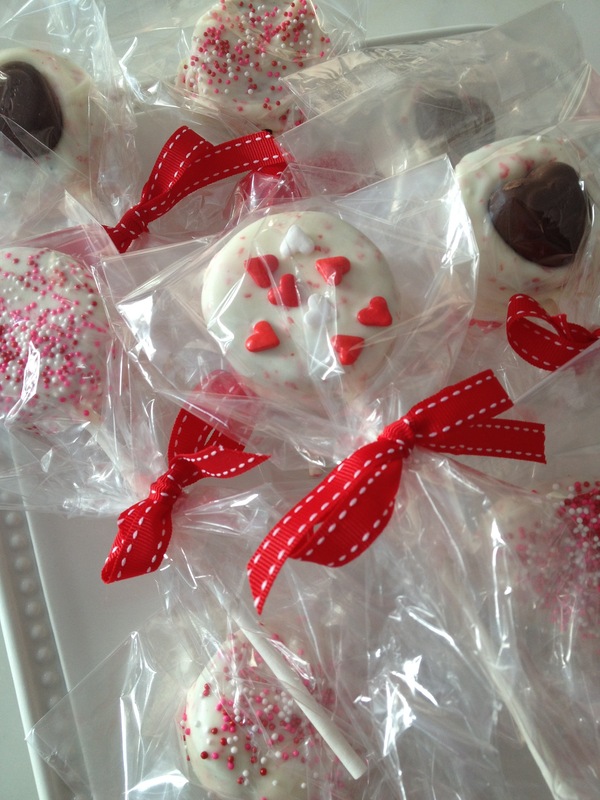 Serve on a pretty plate or tray, wrap individually, or arrange in a foam-filled pot to create a cookie bouquet. 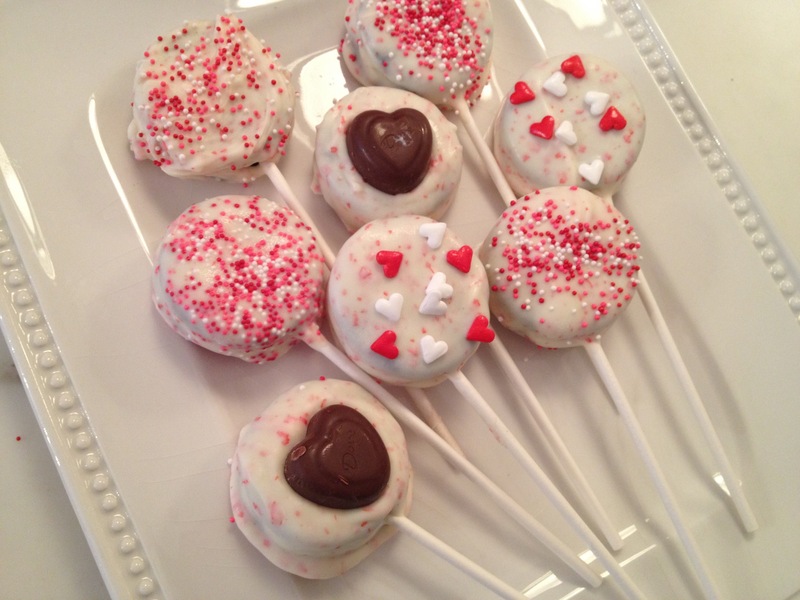 This entry was posted in Cookies, Desserts, Entertaining, Gifts, Holidays, Kids & Family and tagged cookie pops, kids' desserts, Valentine's Day by subeeskitchen. Bookmark the permalink. Love these…just pinned them to my Holiday board! These look great! 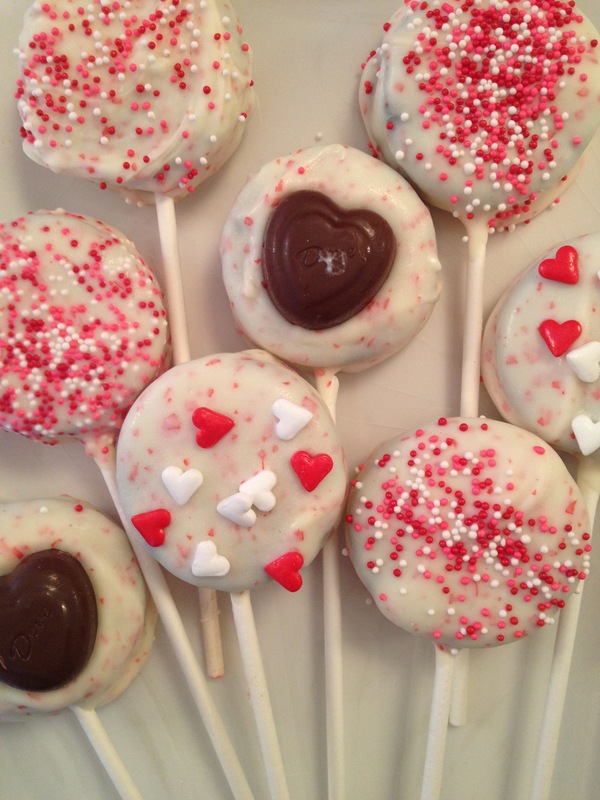 I hope to make them tomorrow! hi! so on instagram, u would post this picture and say #valentine’s treats and @subee’s kitchen. 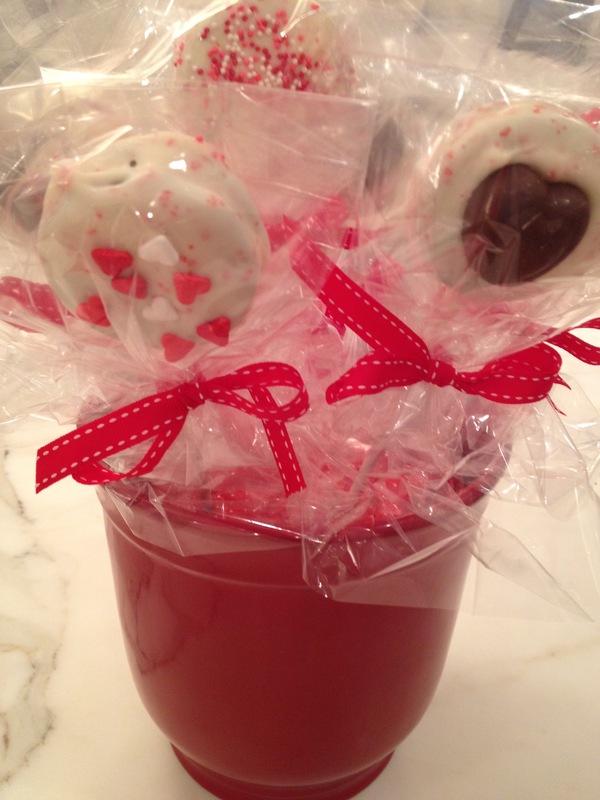 people would find it by searching “valentine’s treats” and then go to your blog!